Open branched, spreading tree with dark green, pinnate leaves that turn rich russet and gold in autumn. 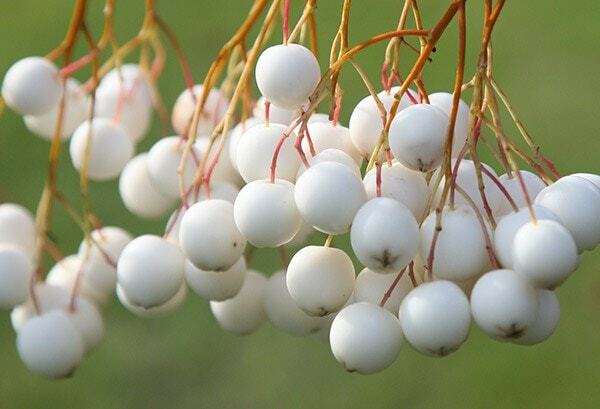 In late spring the tree is covered in clusters of pink or white flowers, followed by large white berries which last well in to winter. A charming tree for the small garden. 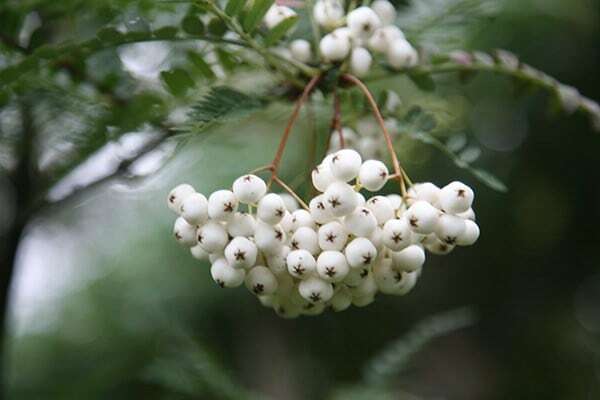 My (in a large pot) Sorbus aff. cashmiriana flowered and berried last year ... but this year not a flower to be seen ... hence NO white/pink berries ... chosen specially to look good in winter in our courtyard. I have just bought a larger pot and propose replanting it in this with multi-purpose compost. Am I doing the right thing? I already have a profuse Joseph Rock in the open ground in the garden so do not want another here. Hello there It could be that the tree had used up all the nutrients in the container so repotting it into a much larger container should help, but I would use a John Innes no 3 compost which is ideal for shrubs and trees. Hope this helps. What can I use as a centrepiece in my bed? I'm looking for a small ornamental tree or shrub for a centrepiece, ideally with with flowers or pretty foliage. Can you give me any ideas? ?